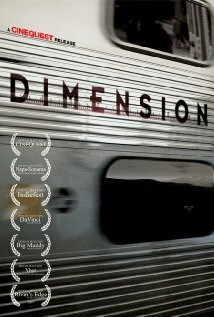 Dimension – I gave this a “Good” rating. My daughter gave it “Excellent”. It was an awesome idea (God gives you the chance to change any three inches of your life – three inches taller, thinner, “longer”, some people chose a 3 inch stack of $100 bills, some made life saving changes) but it was halfway poorly executed. By this I mean that the first half of the movie was ALL OVER THE PLACE. So many people walked out of the theater, and I thought that was kind of strange because trust me, I’ve seen much worse movies. But halfway through a film festival we can lose patience with waiting through bad movies. Anyway – it was all over the place, and too slow, and the sound was not great. But the second half was pulled it all together, the ideas and themes came through, and then it became a totally awesome movie. However, it was also poorly filmed – almost every student film I’ve ever seen has been much better quality than this. That said, the Director (Matthew Scott Harris) was there for questions, and again I was surprised by his age but this time for a different reason – he was older than I am. It turns out he had this idea on his last day of college, but went on to become an environmental engineer. After ten years of that he became a bartender. Then he finally decided to make this movie. The sound problems were due to them not knowing what they were doing – it was truly a do-it-yourself film school in the making. So we’re talking no real film school, twenty years of doing non-creative things, and then a sudden desire to make this film that gives a great message. It really was a great idea, and like I said my daughter gave it an excellent. But I could not in good conscience, given the other truly excellent movies I have seen at Cinequest, ignore the fact that the first half of the movie was really bad. And then there were the quality and other problems. So I give him a “Good” and wish this guy well (I truly do) and hope he comes out with some more great stuff in the future. Given that this is his first film, I would definitely go see his next ones.